If you run a small business that's being left in the dust by the cut-rate promotions offered by big-box stores this weekend, there's one way to get a little extra attention. American Express has launched a promotion called Small Business Saturday, and you can sign up your business at no charge. The idea is to promote small, local businesses. And I'm a fan. I'd rather buy a hand-crafted gift from a local artisan than cheap-looking stuff of questionable origin from a massive chain store. So, how can you get on the Small Business Saturday promotion this late, and use its tools throughout the holiday shopping season? The effort, while promoting a good cause, is still all about branding for American Express. While it doesn't limit the promotion to businesses that accept its card, it does offer special bonuses, like a $25 statement credit for card holders who shop at participating stores the Saturday after Thanksgiving. 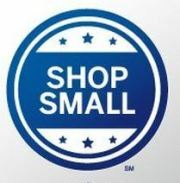 At its core, Small Business Saturday really is less about your business and more about American Express's. Start off by "liking" the Facebook page for the event. Then click on For Your Biz on the left navigational menu. While the free Facebook ads promoted earlier have been snapped up, you can still get free in-store signs, electronic marketing materials, and LinkedIn ads to use after the holiday weekend. If you post an in-store sign, email a picture of it to AmEx at socialmedia@open.com to potentially have it posted on that Facebook page. To get the electronic marketing materials, click on the Get E-Marketing button, then the Print Yourself button, and download the .ZIP file. This part is not intuitive at all; your marketing materials are contained in the print material package. AmEx has put together an email message, Facebook posts, and tweets for you to send out about the event. There are also links to create a Facebook business page using the Small Business Saturday page-creation wizard--handy if you don't yet have a Facebook page for your business. Set up your own promotion for Small Business Saturday and send out word through Twitter, Facebook, and email to your potential and current customers. AmEx and Google have set up a way for you to tell your company's story through designing your own YouTube video. You can include this in your promotion and use it on your website. At the very bottom of the Small Business Saturday Facebook page, there is a link to sign up for a service called YourBuzz, where you can get $100 in free LinkedIn ads. You'll have to pay $5 to get the $100 credit to activate your LinkedIn advertising account. YourBuzz lets you monitor all of your online marketing through one dashboard, and you can sign up without having an American Express card, as long as your business is in the United States. Angela West dreams of opening a Fallout-themed pub featuring wait staff with Pip-Boys. She's written for big insurance companies, small wildlife control businesses, gourmet food chains, and more. Follow her on Twitter at @angelawest and Facebook.